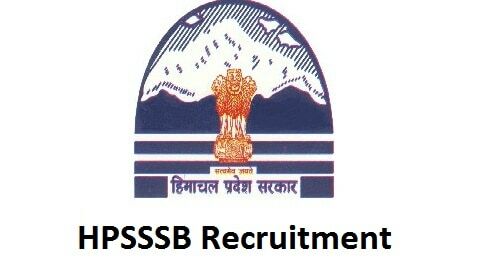 Employment notification named HPSSSB Recruitment 2019 has been released by the Himachal Pradesh Staff Selection Commission (HPSSB) on its official website hpsssb.hp.gov.in. As per the details, the commission is hiring 226 eligible and hard working aspirants for the vacant positions of Language Teacher, Mechanic, Fitter, Hostel Warden, Engineer, Officer, and others. In order to recruit eligible aspirants for the above said posts application in online mode has been called from the Indian nationals to apply for HPSSSB Recruitment 2019. Interested aspirants can check the complete notification details and check the eligibility norms. Eligible aspirants can submit their application form as per the below-stated guidelines. The last date to pay application form is 04 April 2019 till 11:59 PM. 10th Standard/ 12th Standard/ Graduate/ Diploma/ ITI/ equivalent, candidates are recommended to check post wise qualification details from official notification. Step 1: Open hpsssb.hp.gov.in i.e. the official portal of Himachal Pradesh Staff Selection Commission (HPSSB). Step 2: From the home page hit on the “Advertisements Related Notices” link. Step 3: On the next page you are required to press “Advertisement No. 35-1 of 2019 inviting Online Recruitment Applications for various posts. Opening date 05-03-2019 and closing date 04-04-2019 up to 11.59 PM (New) (Date: 02 Mar 2019)” link. Step 4: Notification details will appear at your screen, check the details of the notification. Step 5: If you are eligible then hit on the “Apply Online” link and fill the application form by providing all the details. Step 6: Pay the prescribed fee and submit the form. Step 7: Must ensure to print a hard copy of the submitted application form for future use.